In the first post of this series, I said that I was looking at the terms Scriptures, Bible, New Testament, Gospels, and gospel. In the next post, I looked at various uses of the term “Scriptures” in the New Testament. Then, I explained how I use the terms “Scriptures,” “Bible,” “New Testament,” and “Gospels” and explained why I use the terms that way. But, what about the general term “gospel” as found in the New Testament? What is the nature of that term? Does it point to the Scriptures? The New Testament? The Gospels? Well, to begin, logistically it would be impossible for the term “gospel” to refer directly to the New Testament or the Gospels in the New Testament or the Gospels, since neither the New Testament nor the Gospels existed at that time. Of course, if we determine that the term “gospel” referred to the Scriptures that were available at that time, then it’s possible to conclude that it could refer to the New Testament and/or Gospels also by extension (if we decide that the New Testament and Gospels are Scripture). I’ve seen suggestions that “gospel” always refers to Jesus Christ, the Gospels (Matthew, Mark, Luke, John), the Scriptures, the message about Jesus, and a few other options. I’m not convinced that the term “gospel” always refers to the same thing. Instead, I think that we must look at the context to determine (if possible) exactly what the term “gospel” refers to. I’ll look at some examples in the next post, which should be published tomorrow. In the first post of this series, I said that I was looking at the terms Scriptures, Bible, New Testament, Gospels, and gospel. In the next post, I looked at various uses of the term “Scriptures” in the New Testament. In those passages in which the “Scriptures” are described or defined, we see that 1) the Scriptures are inspired by God, 2) they are good for teaching, correcting, etc., 3) they help prepare us for good works, and 4) they contain information about Jesus Christ. Perhaps most important are those passages that indicate that reading, studying or memorizing the Scriptures do not guarantee “knowing,” and that something more is needed to actually understand the Scriptures. But, what writings are considered “Scriptures”? We should admit that the Scriptures themselves never give us a list of writings that are Scripture. We can tell that certain quotations (and thus the writings that contain those quotations) are considered Scripture. Also, through the years (beginning very early) Christians have disagreed about what writings are Scripture. Typically, a person accepts certain writings as Scripture because of the Christian tradition they are part or grew up in. 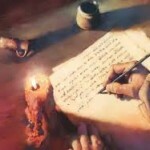 In fact, almost every list of writings has strong historical basis to be considered Scripture. 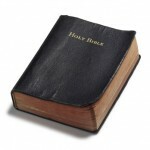 I use the term “Scriptures” to refer to 66 books – 39 books of “Old Testament” and 27 books of “New Testament.” And, of course, that also explains what I mean by the term “New Testament.” All of these writings together can be called “the Bible” (which comes from a term that means “book”), but I tend to use the term “Scriptures” instead. In the New Testament, four of the writings by Matthew, Mark, Luke, John are typically called “Gospels.” A capital “G” is used to differentiate the writings from the term “gospel.” The “titles” attached to the earliest manuscripts of these documents were “According to X” with X being the traditional author of the books. It’s possible that “Gospel” was part of these titles, as is found in later manuscripts, or it’s possible that “Gospel” was added later. Either way, I prefer to use the capitalized term “Gospel” to refer to the books of Matthew, Mark, Luke, and John. So, for me, Scriptures or Bible refers to those writings that are inspired by God and have been collected by and perceived by believers as being generally beneficial to followers of Jesus Christ. The term New Testament refers to the subset of Scriptures that were written after the birth, life, death, and resurrection of Jesus Christ. Meanwhile, the term Gospels refer specifically to those four books within the New Testament that tell the story of Jesus’ birth, life, death, and resurrection (i.e., Matthew, Mark, Luke, John). How do you understand the terms “Scripture,” “Bible,” “New Testament,” and “Gospels”? Historically, these “writings” (“Scriptures”) do not refer to just any writing, but to specific writings. The people of God – both before and after the life, death, and resurrection of Jesus – have disagreed about which writings are considered part of this special group of writings (what I’m calling “Scriptures”). These disagreements continue today among those who consider themselves followers of Jesus. Although it is perhaps circular, in this beginning post, I’m going to start with the New Testament Scriptures (and assume – for the sake of this post – that the New Testament Scriptures consist of the 27 books beginning with Matthew and ending with Revelation). 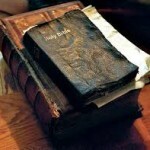 What do these books actually say about the “Scriptures”? From these passages, what did the authors of the New Testament believe about the Scriptures? Last week, during a discussion of 2 Timothy 2:15 and especially the phrase “word of truth,” I said that I did not believe that the phrase referred to “the Scriptures” or “the Bible.” Instead, based on other uses of the phrase “word of truth,” I suggested that the phrase referred to the gospel. In response, Jim asked several questions in a comment related to my understanding of the gospel, the New Testament, the Scriptures, etc. Instead of answering the questions in a comment, I decided to put together another blog series looking into the various related (but also different) terms. In this series, I’m going to explain my use of the terms Scriptures, Bible, the New Testament (and the Old Testament), the Gospels, and the gospel. Where possible, I’ll give examples from Scripture (the Bible) in which the terms are used in a similar manner to the way that I used them. Also, I’ll also provide some historical usage of the terms where applicable. I think we have to be very careful when we use these terms, especially when interpreting passages of Scripture (such as 2 Timothy 2:15, but also many other passages). Also, it’s important to recognize that the referent (what the terms refer to) for some of the terms change with time, and it’s important to recognize that through time (and even today) there was/is not always agreement among followers of Jesus Christ as to what the terms refer to. So, this week, I’ve attempted to “study” 2 Timothy 2:15 in order to show that Paul did not exhort Timothy to “study the Bible” in that passage. Of course, the very exercise that I undertook shows that I think that the study of Scripture is extremely profitable and important. My blog series was not an attempt to dissuade anyone from studying, but instead to point out that Paul had a different point in mind when he penned 2 Timothy 2:15 to his young apostolic co-worker Timothy. The Christian faith is unapologetically intellectual. But 2 Tim. 2:15 is not the right place to go for proof of this. Not that Christians shouldn’t study. Augustine once wrote, “Everything that is believed is believed after being preceded by thought.” In all of my publications I have tried to show the indispensability of sound logic to Christian living. Christian thinking is anchored in the Scriptures — hence the necessity of knowing the biblical languages. From the beginning of the Reformation, the church has nurtured an active intellectual life. I reference Alan’s post not simply to show how easily we are misled by translations. (We’ve all had that happen. Growing up in Hawaii I recall making sure to slurp the last drop of grape juice during communion. After all, had not the Savior commanded, “Drink ye all of it”?) 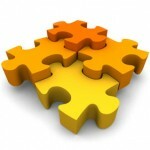 My purpose is to remind us just how commonplace misunderstandings can be. The threat is a grave one. It is grave in that we sometimes have those leading our churches whose ability to deal honestly with the biblical texts is obviously in question. Again, to quote Augustine, “Treat the Scripture of God as the face of God.” The more profoundly one understands Scripture the more deeply one relates to its Author and great Subject. And vice versa. Instead, while we’re studying, let’s remember Paul’s exhortation to Timothy in 2 Timothy 2:15… no, not an exhortation to study the Bible… but an exhortation to continue living by the “word of truth,” the gospel, because we are an approved person and an unashamed worker. By the way, one of the things that I’ve appreciated about Dave Black as I’ve known him the last few years is that he’s a great example of this… both him and his wife. Yes, they study the Scriptures relentlessly and carefully… but they also live the gospel with their students, friends, neighbors, and strangers. 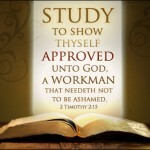 Study to show thyself approved unto God? Did Paul tell Timothy to “study” in 2 Timothy 2:15? In 2 Timothy 2:15, what does Paul mean by “word of truth”? What did Paul mean by “rightly dividing the word of truth” in 2 Timothy 2:15? My goal in all of this is to understand what Paul meant when he wrote this verse to Timothy. How did he expect Timothy to respond? And, how does it affect us today? If Paul did not intend for this verse to encourage Timothy to study the Bible, then what did he mean? The first object of the infinitive (“an approved ‘person'”) is a nominative adjective (an adjective with an assumed noun). It is in a position of emphasis before the infinitive in the Greek sentence. The second object (“an unashamed worker”) is a noun with an adjective. 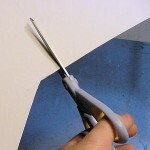 The final object of the infinitive (“rightly dividing the word of truth (gospel)”) is built on a participle (“rightly dividing”) with its on object (“the word of truth”). These three terms stand in parallel with one another. Furthermore, while “an approved [person]” is in a place of emphasis, the terms do not seem to build on each other. There is no conjunction connecting them, which tends to indicate apposition (parallel) instead of some kind of sequence. As Paul has told Timothy several times in each of his letter, Timothy is living according to the gospel. This is an exhortation to continue in that way of life, recognizing that he is living his life before God, not for the pleasure or acceptance or approval of people. But, the beginning imperative is important. You cannot coast into a life that is lived according to the gospel. It takes diligence… effort… concerted focus. So, the exhortation to Timothy – in the presence of those who live contrary to God’s desire – is for the young man to do whatever it takes to continue down the path of the good news of Jesus Christ. As a person approved by God, an unashamed worker, and one who is already living according to the gospel… this is exhortation to continue down the road he is already walking, without letting others tempt him into a different manner of life. Of course, this is a good reminder for all of us. Are you approved by God in Jesus Christ? Are you an unashamed worker indwelled by and empowered by the Holy Spirit? 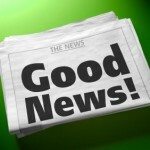 Are you walking the straight line dictated by the good news of Jesus Christ? Then make every effort to keep walking down that same path, recognizing that you are in the presence of God… and regardless of what those around you do or how they live. What did Paul mean by rightly dividing the word of truth in 2 Timothy 2:15? That is, this phrase points toward both understanding the gospel but also living according to the gospel. “Cutting straight” or “going straight” would indicate living according the gospel and nothing else… living according to the gospel without deviating. In the next post, when I put this all together, I’ll talk about the remainder of this verse. But for now, we need to realize that Paul is pointing Timothy toward being the kind of person who lives his life according to the good news of Jesus Christ – with the gospel being the plumb line, the guide line, the rudder for his entire life. In contrast, Paul is also saying that others (those described in the sentences surrounding this verse) are not living according to the gospel. Interestingly, Paul focuses on their arguments with many words… which, to Paul, apparently is not living according to the gospel. In my final post, I’ll put this all together with the remainder of the verse. At this point, I’d like to jump to the very end of the verse and look at the phrase “word of truth.” This phrase is often interpreted to mean “Scriptures” – either the Old Testament, or the Old Testament and New Testament by extension. But, if Paul did not intend for the phrase “word of truth” to refer to the Scriptures, then we are misunderstanding him we we make that reference. The term translated “word” is very common and familiar – λόγος (logos) – which has a wide range of meaning from “word, message, or speech” to “thing or matter.” “Word” is used to refer to many things in the New Testament, and at times it does appear to refer to the Scriptures. Since Paul spells it out directly, it’s clear that the phrase “word of truth” refers to “the gospel” in Ephesians 1:13. 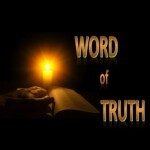 In James 1:18, it seems likely that the phrase “word of truth” also refers to the gospel. But, what about in 2 Timothy 2:15? Is there any indications (other than the evidence from the other uses of the phrase in the New Testament) that Paul intended “the word of truth” to refer to “the gospel”? Notice also that in this context of discussing the gospel, Paul uses a related phrase “word of God.” Paul talks about proclaiming the gospel and being placed in chains. He then exclaims, “But the ‘word of God’ is not bound!” Again, the phrase ‘word of God’ here most likely refers back to “the gospel” from Paul’s previous statement. So, not only is Paul talking about the gospel and the importance of the gospel leading up to this verse, he also uses a related phrase (“word of God”) to refer to the gospel. Because of this evidence – both from other uses of the phrase in the New Testament and the focus on the gospel in the context leading up to this verse – it is most likely that when Paul used the phrase “word of truth,” he was not referring to the Scripture. Instead, he was referring to the gospel. Did Paul tell Timothy to study in 2 Timothy 2:15? In my post yesterday, I said that I was starting a series looking at 2 Timothy 2:15. 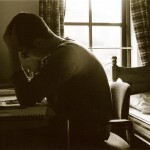 (See my post “Study to show thyself approved unto God?“) This verse is used by many schools, colleges, universities, seminaries, and other educational programs as a motto to encourage “study.” But, was this Paul’s intention when he wrote to Timothy? To begin this “study” (ahem), we must start with the very first word in 2 Timothy 2:15. No, not the word “study”… the word σπούδασον (spoudason) which is an aorist active imperative (command) 2nd person singular form of the verb σπουδάζω (spoudazo). But, what does σπουδάζω (spoudazo) mean? I think it’s clear that in the cases above, σπουδάζω (spoudazo) could not be translated “study,” but is more correctly translated “be diligent,” “be eager,” or “make an effort.” Of course, this is similar to how the other translators (besides the KJV) rendered the term in 2 Timothy 2:15. But, also, we have to admit that the evidence above does not prove that σπουδάζω (spoudazo) cannot be translated “study” in 2 Timothy 2:15. At this point, it seems pretty likely (obvious, to me) that Paul did not intend to convey the meaning “study” when he used the term σπουδάζω (spoudazo) in 2 Timothy 2:15. In the next part, I’ll look at what σπουδάζω (spoudazo) actually means in this passage so that we can understand Paul’s (and God’s) intentions. During this time of year, many people’s thoughts are turning back to school and education, from preschool and elementary school all the way up to college and university… even seminary. And, many Christians’ thoughts turn to 2 Timothy 2:15 – you know, that verse in which Paul tells his co-worker Timothy to get a good Christian education… right? But, is that really what Paul told Timothy? If so, then we need to understand how to study. But, if that’s not what Paul told Timothy, then we need to understand what he actually said, because it may help us in our own walk with the Lord. So, if the ESV, NASB, and NIV translators are correct, then Paul does not actually tell Timothy to “study” in 2 Timothy 2:15. But, what does Paul intend by that exhortation? For the next several days, I’m going to be examining this passage and trying to understand what Paul intended by this command to Timothy and how it applies to us today. For now… what do you think Paul meant by 2 Timothy 2:15? Do you think it has anything to do with “study” in the modern sense of the term?